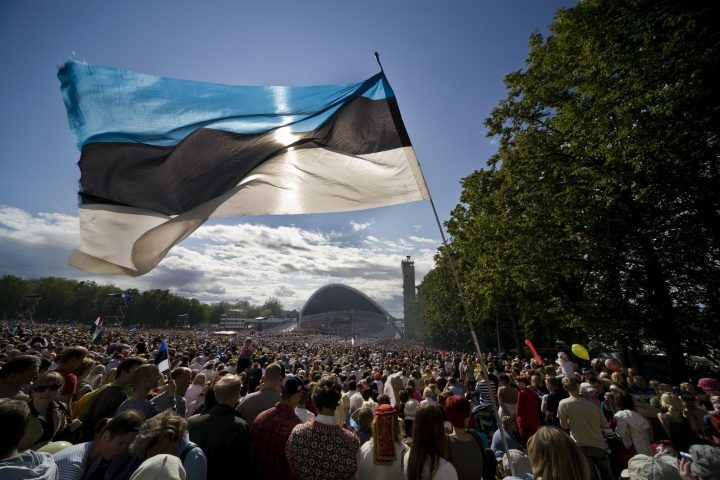 Poland recognised Estonia’s independence on 31 December 1920 and re-recognised the Republic of Estonia on 26 August 1991. Diplomatic relations between Estonia and Poland were re-established in September 1991. 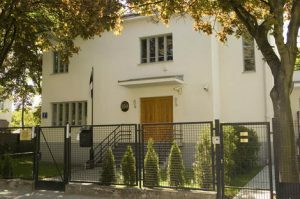 Estonia opened its embassy in Warsaw on 20 June 1995. Chargé d’Affaires Riho Laanemäe worked there initially; in 1996 Peeter Restsinski became the Estonian ambassador to Poland. From 2000 to 2005, the Estonian ambassador to Poland was Aivo Orav, from 2005 to 2009, the ambassador was Ants Frosch, from 2009 to 2013, Taavi Toom, from 2013 to 2014 Eerik Marmei and from 2014 to 2018, the ambassador was Harri Tiido. As of September 2018, the Ambassador of Estonia to Poland is Martin Roger. Estonia has four honorary consulates in Poland. Estonia’s first honorary consulate in Poland was opened in Szczecin in 2002. The honorary consul there is Robert Kornecki and the jurisdiction of the consulate comprises the administrative districts of Zachodniopomorskie, Pomorskie, and Lubuskie. The honorary consulate opened in Krakow in 2006 is led by lawyer Piotr Paluch, and its jurisdiction comprises the administrative districts of Malopolskie, Podkarpackie and Slaskie. In May 2012, Estonia opened its honorary consulate in Gdańsk. The honorary consul is the former mayor of Gdańsk and lawyer Tomasz Posadzki, and the consulate’s jurisdiction is the Pomorze administrative district. The honorary consulate in Białystok was opened in March 2016, Estonian honorary consul in (jurisdiction: administrative district of Podlaasia) is Doctor of Law Iwona Wrońska. The Polish Embassy in Estonia was opened in Tallinn in August 1993. Initially the Polish ambassador to Estonia was Ambassador Jarosław Lindenberg, residing in Riga. Starting from November 1994, it was Jakub Wolasiewicz, who resided in Tallinn. Current ambassador Grzegorz Kozłowski presented his credentials to President Kersti Kaljulaid in February 2017.